For Better Or Worse: Links That Matter And Those That Shouldn’t. Posted on 4th June 2011 at 12:20. I’ve mentioned this before, but it’s worth repeating: links are essentially a thumbs up for another user’s website which show that the content is relevant and useful and should definitely be recommended to others. Unfortunately, it’s not quite as simple as that: well, it wouldn’t be, would it? Links are continually evolving, mainly in response to the changing nature and requirements of search engines. Consequently before it’s possible to determine what makes a good link, it’s necessary to have a quick look at this process of evolution and understand how links have had to change as search engines became more and more sophisticated. Link analysis has come a long way over the last few years as search engine algorithms have become more complex. Originally search engines were convinced that the more links a site had, the better it had to be. This ideal of quantity over quality didn’t last for too long though. Many less scrupulous websites soon cottoned on to this: link farms were born, and websites did everything in their power to amass as many links as possible. It didn’t matter frankly whether these links were any use or bore any relevance; it was the numbers that mattered at the end of the day. Google soon wised up to this and moved the goalposts. The emphasis was shifted towards the link text: in other words, the words used in the link itself. These had to bear some relevance to the page it was linking to and had to be keyword rich. Obviously, the more of these you had the better, but quantity was no longer the be all and end all. Google and the other search engines then shifted their focus to incorporate quality as well as relevance. They started to investigate the quality of the website from which the link originated and tried to determine whether this site was of low or high quality. The higher the site’s ‘authority’, the better the quality of the link. Unfortunately link buying still continued to prevail, so the search engines then started to factor in link age and pedigree as well, in the hope that inferior or bogus links would fall by the wayside. If a link persisted and stayed relevant, then it was assumed it was a worthwhile link and therefore of value. If the link vanished as quickly as it arrived, then it was deemed as poor quality. Search engines will never be in a position where they can completely eradicate poor quality, spurious links, but they constantly change the way they judge and assess their quality. Some will no doubt continue to slip under the radar unnoticed, but the search engines are now sophisticated enough to be able to spot these most of the time by analysing the anatomy and structure of the link itself through a series of what you might want to call ‘tests’ or signals. It’s hoped that by analysing these signals the search engines should be able to spot links that were purchased. So, what are the main components of links, and how do search engines use this information to determine relevance and quality? Link text, as mentioned earlier, factors heavily in search engine ranking: any clues the search engines can get from the content of the page from an external source weighs heavily. It tells them not only what the page is about, but also that somebody else found this information useful. Therefore it’s a valuable resource because it links to a site that gives readers both relevance and context. The anchor text also needs to be keyword rich. Google will look less favourably on links that only bear a company name or product, rather than a specific service like ‘used Yamaha motorcycles’ or such like. Search engines pay a lot of attention to the placement of the link text and use this to determine value. If it’s used in the navigation, it will be taken in to account: if the link appears in advertisement spaces it will generally be ignored. The best place for links is in the editorial part of the page. Google values these links higher than others. Because they appear in the middle of the page, then they are considered unlikely to have been purchased, though that isn’t of itself any guarantee. Moreover, they are valued more highly because if the writer of the content felt it was relevant to readers, then the assumption is that it must be. Different types of link carry different degrees of weight with search engines. Many consider reciprocal links as worthless, but that isn’t strictly true as it depends on context. One way links similarly have a mixed reception, and the weight placed on these varies from search engine to search engine. 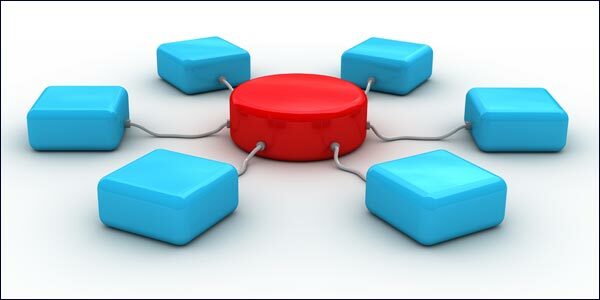 The one thing they all agree on, however, is that known purchased links have the least value, though even these can be useful for driving traffic and gaining an audience which eventually can produce natural links. Text is looked on more favourably by search engines than images for understandable reasons. It gives more information and context and is therefore much more likely be stuffed with keywords which makes identification and classification easier. Images can use Alt text, but this isn’t factored as highly. The longer a link remains in place, the more power and influence it devolves upon the linked page. This isn’t always a hard and fast rule as blogs and the like can have an initial impact that fades over time, thus reducing the influence of the link, but that doesn’t necessarily mean the search engines will weight them any less. The site that links out plays a significant role in the value of the link itself. The higher the authority of the linking site, the more link value is transferred. Do Your Readers Understand Your Website Content?Multichannel Retail Not Online Marketing Driving Mobile Search Growth.